* Genetics from Flying Bird, Grasshill, Trilyte, Wey South, Givernay, and Shallow Creek. * Caprine Arthritis Encephalitis(CAE) negative, Caseous Lymphadenitis (CL) free, and Johnes negative. * Pregnant does are given Selenium and Vitamin A&D a month prior to kidding. * Goats are milked twice a day, in a double 18 rapid exit parlor. 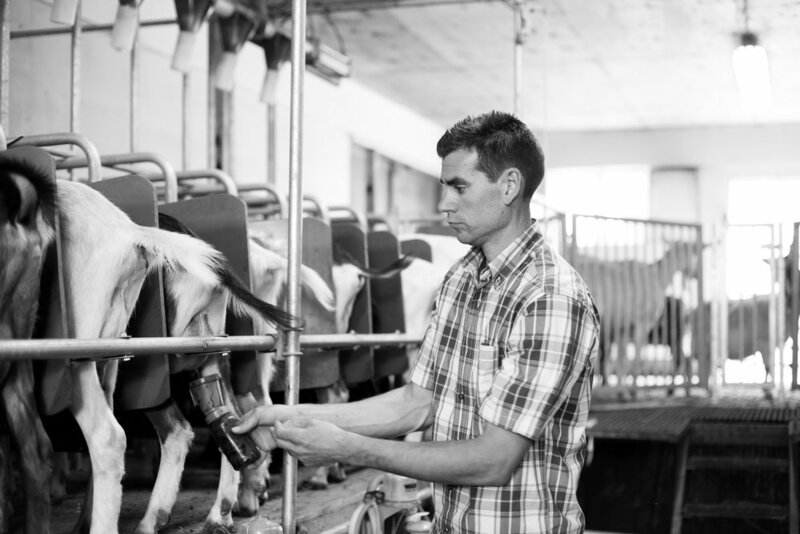 As part of herd health management the farm completes its own milk test with milk meters once a month. * Herd’s diet: free choice alfalfa/grass hay, an 18% alfalfa pellet is fed in the parlor with an automatic feeding system, minerals are fed free choice including: brewer’s yeast, cobalt salt, and sodium bicarbonate.